Both these offers are dead. 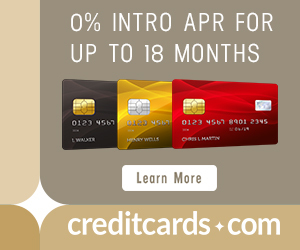 Go here to see the top current credit card offers! I’ve gotten several questions about whether one person can get both the Citi Prestige® Card and the Citi ThankYou® Premier Card and their 80,000 total bonus ThankYou Points. Yes, one person can get both cards as long you apply for the two cards at least eight days apart. How can you combine the points (and why do you really want to)? The Prestige offers 50,000 ThankYou Points after spending $3,000 in the first three months. The Premier offers 40,000 ThankYou Points after spending $3,000 in the first three months. Both also offer the chance to redeem points like cash toward any flight with no blackouts, but the Prestige offers higher value when points are used this way. The Premier‘s points are worth 1.25 cents each toward all flights. The Prestige‘s are worth 1.6 cents toward American Airlines flights and 1.33 cents toward all other flights. More info on these redemption options and redeeming ThankYou Points. $100 statement credit for signing up for Global Entry, which also gives access to TSA Precheck. Global Entry has been worth way more than $100 to me over the last few years. Lounge access to all Admirals Clubs when flying American Airlines. Lounge access to all Priority Pass Select lounges always. For either type of lounge, you can bring in all your under-18 children plus spouse or any two guests. Each has strengths beyond its giant sign up bonus. You want to combine your ThankYou Points once you have both the Prestige and Premier because the Prestige‘s ThankYou Points are worth more when used like cash toward the purchase of a flight, especially an American Airlines flight. Here is how to combine ThankYou Points from multiple accounts. You can get both the Prestige and Premier and long as you apply at least at least 8 days apart, and potentially further apart if you have another recent Citi application. Getting both cards and meeting their minimum spending requirements would earn at least 96,000 ThankYou Points, and probably more if you maximize the category bonuses. You can combine the ThankYou Points into the Prestige‘s account to take advantage of a higher value for redeeming the points toward any flight like cash. However I still recommend that most people transfer ThankYou Points to airline miles for higher value redemptions. You said $250 in statement credit twice before 2nd Annual fee is due. Does that mean one could get statement credit twice and then cancel without paying 2nd $ 450 annual fee? Will they do another hard pull on my credit for the 2nd application 8 days after the first? I would think so. Worth it for 50k more points to me. You mentioned for the airline statement credits it can be used to purchase airline tickets (as well as upgrades, baggage fees, etc). Do you know if you can it use for airline gift cards, too? Similar to how you can do it for Amex in $50 increments for the airline of your choice? Thanks for clarifying! Haven’t tried yet, but I would be SHOCKED if that didn’t work. Any charge that is processed by the airline should work. This benefit is much broader (intentionally) than the AMEX Platinum’s. The $250 credit is per calendar year but can it only be applied against charges in the year it’s given? Like I just got the prestige, can I buy two airline charges in November, they post to my account in December, I used my $250 for 2015 against one in December. 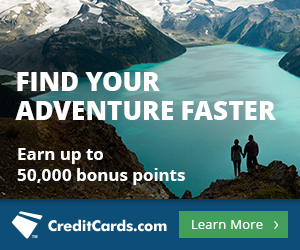 In Jan 2016 I get another $250 credit, can I apply it back against my other airline charge in December 2015? Or do you not get a choice of when and where to apply it like a Arrival card with points, and it’s just like the Delta Amex card where as soon as it sees an applicable charge it uses the credit?